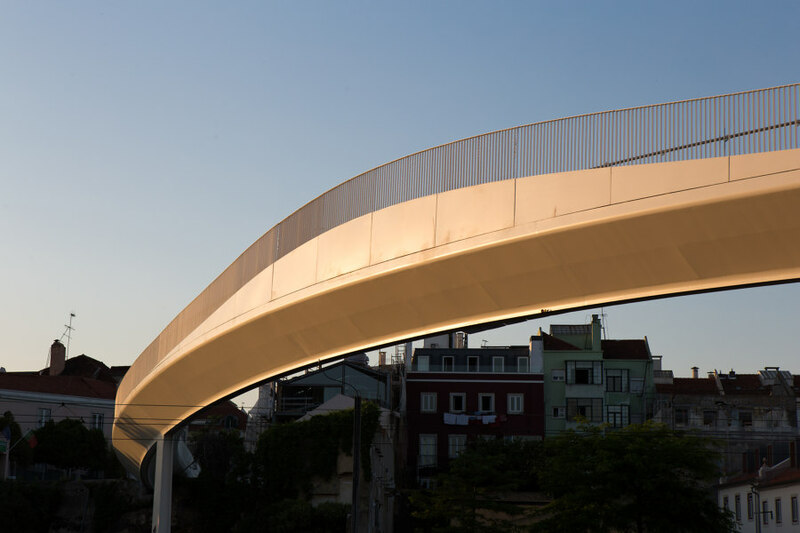 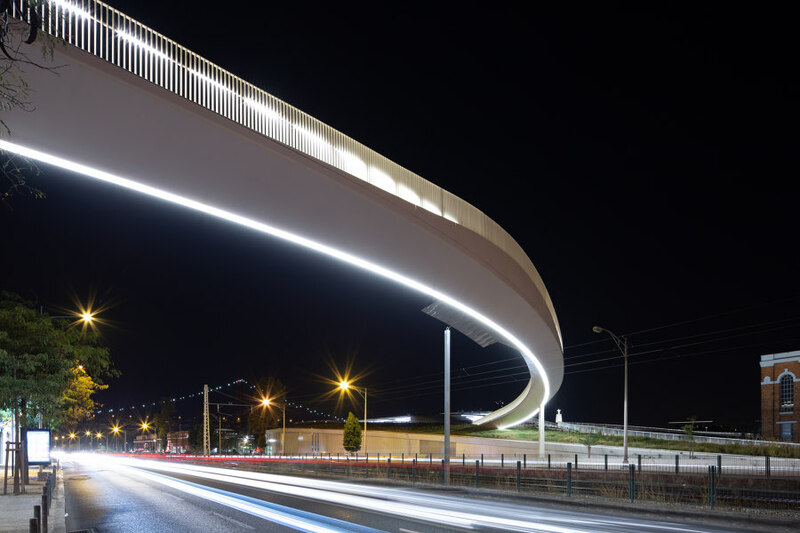 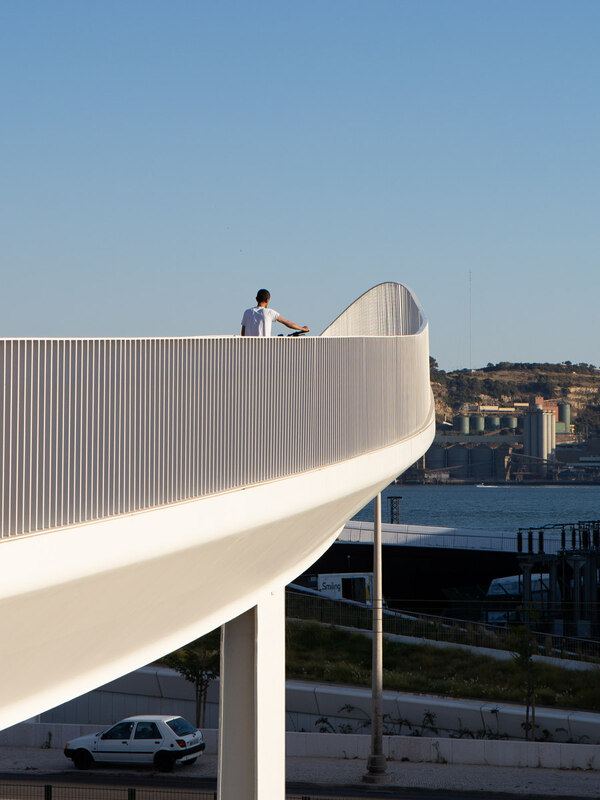 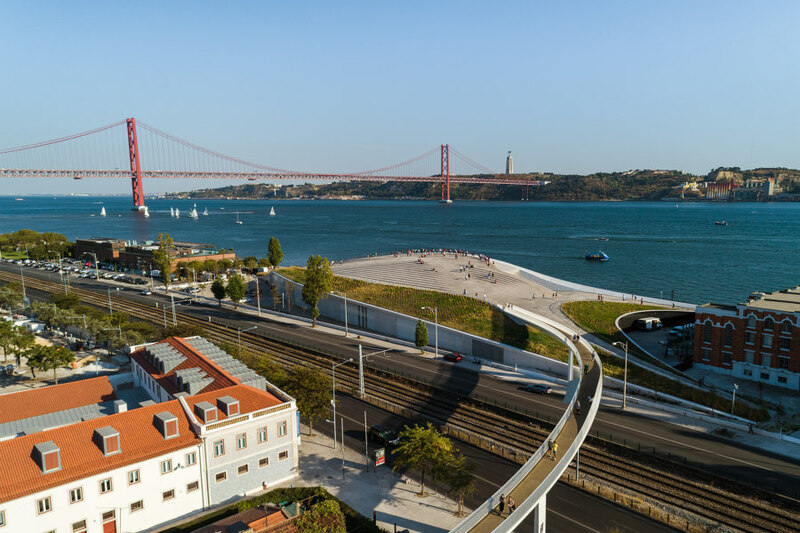 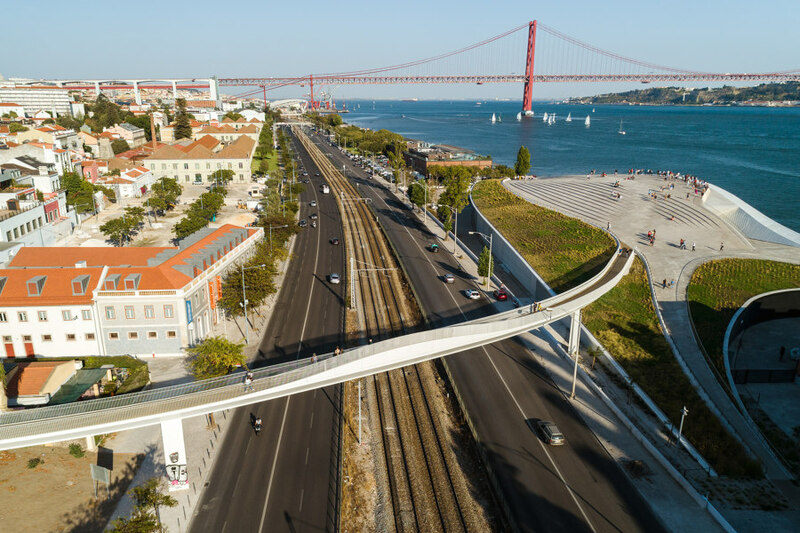 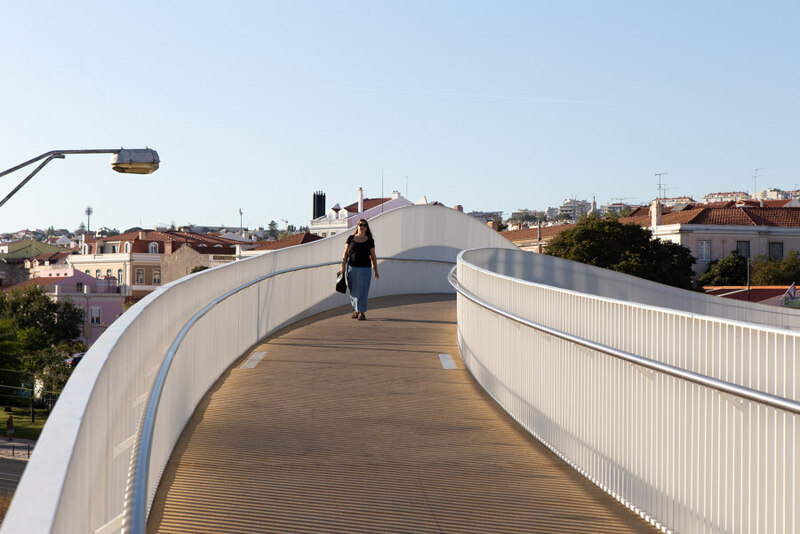 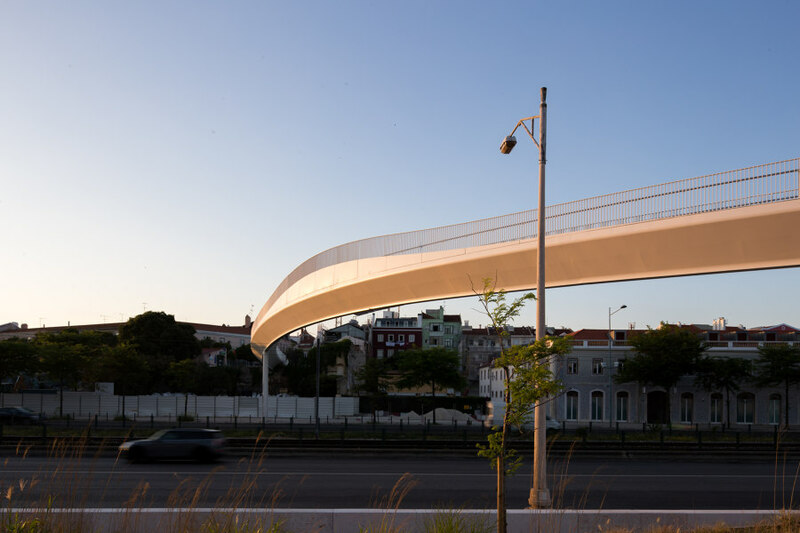 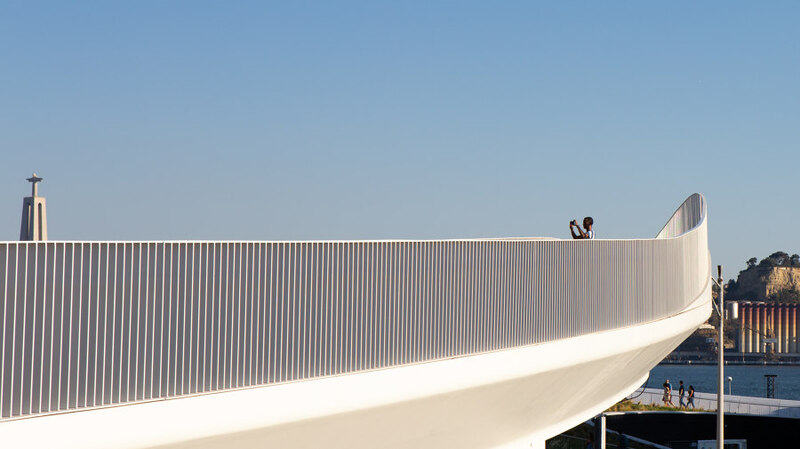 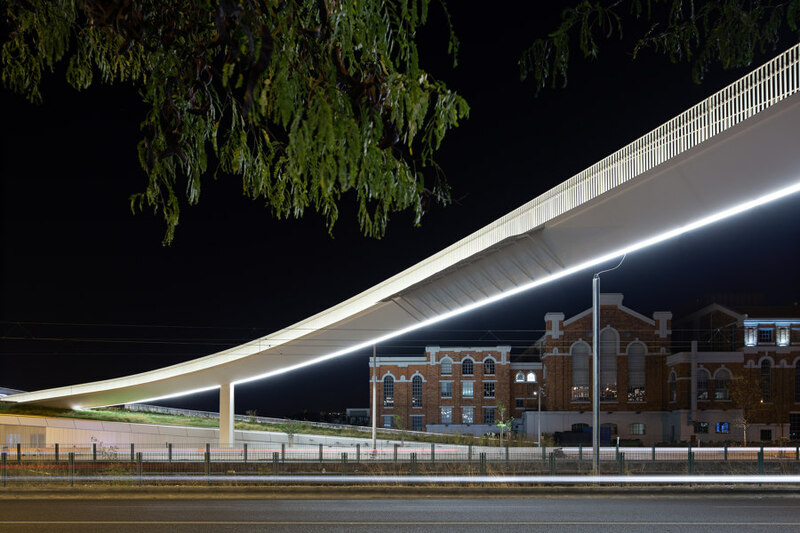 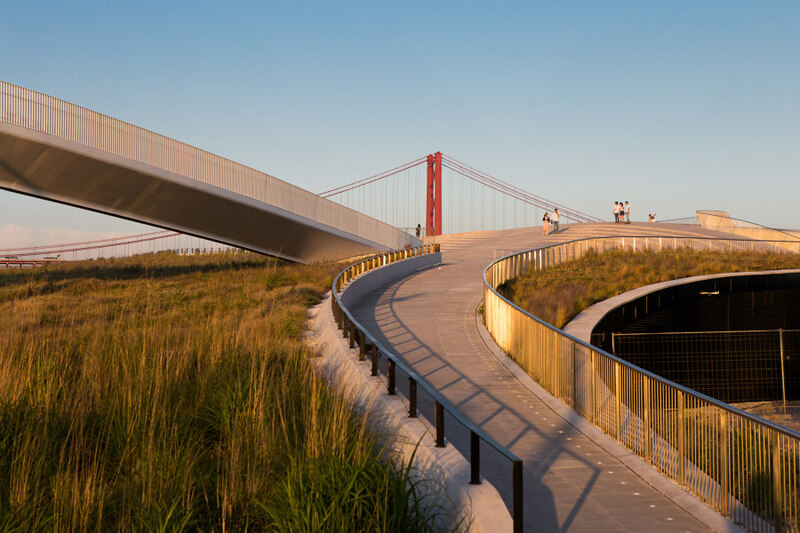 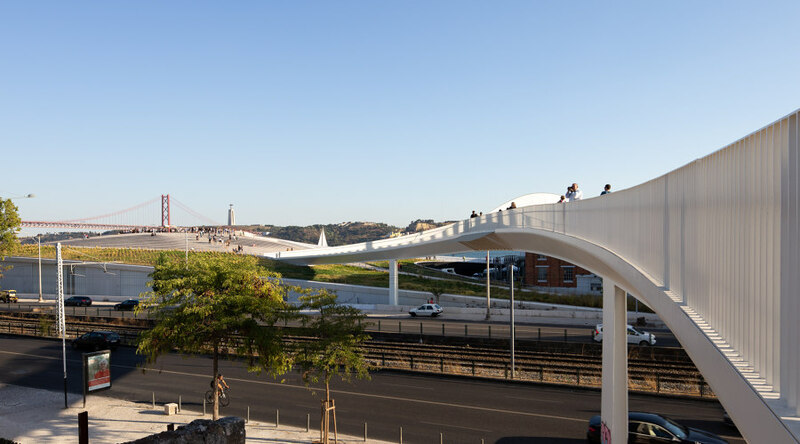 The bridge connecting the Museum of Art, Architecture and Technology (MAAT) to the district of Belém in Lisbon is now open to the public. 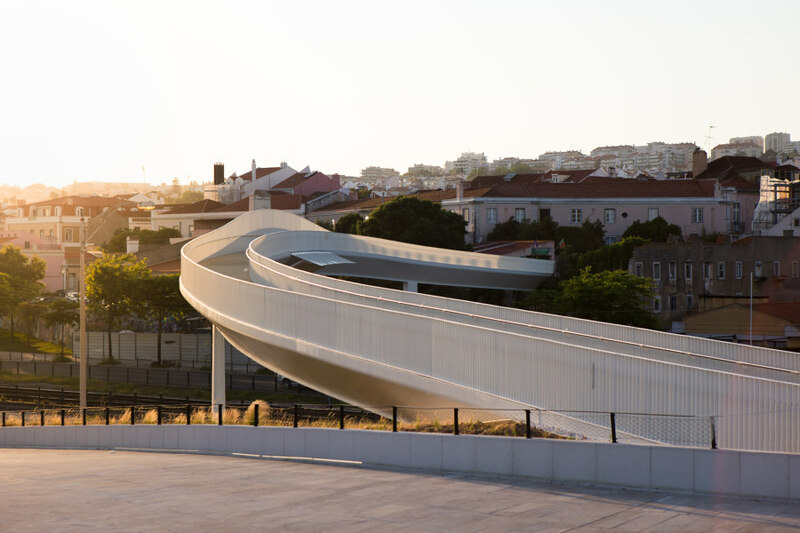 The structure, designed by AL_A, is part of the EDP Foundation’s 3.8ha art campus along the banks of the Tagus River. 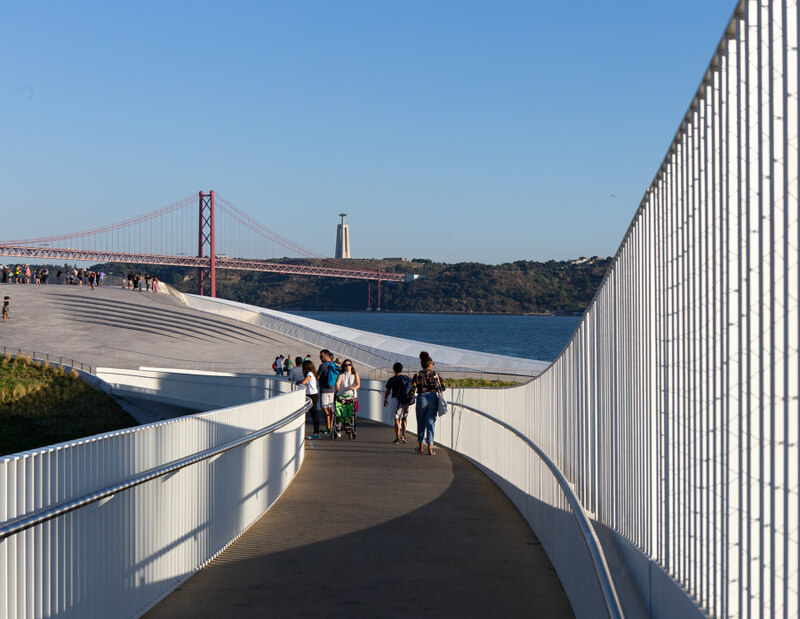 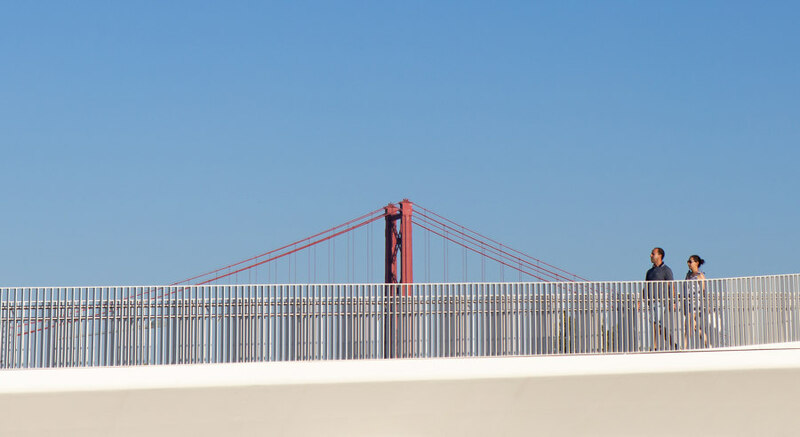 The bridge establishes a new relationship between the city and the waterfront, reconciling the two and overcoming their previous disconnection. 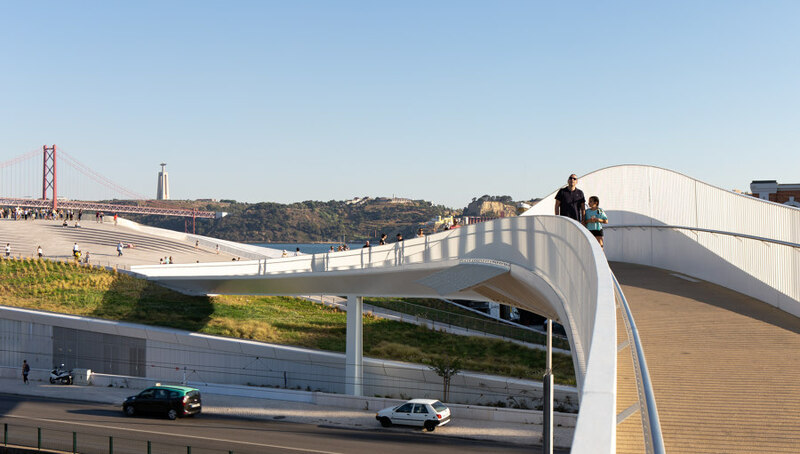 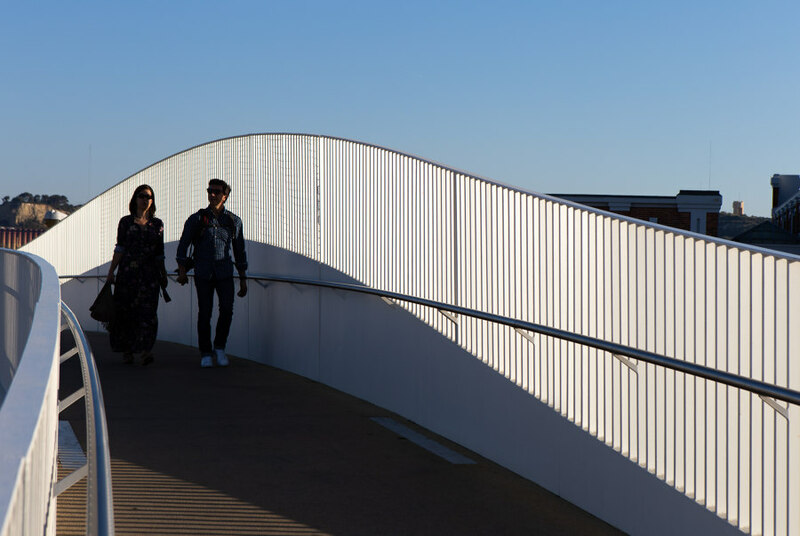 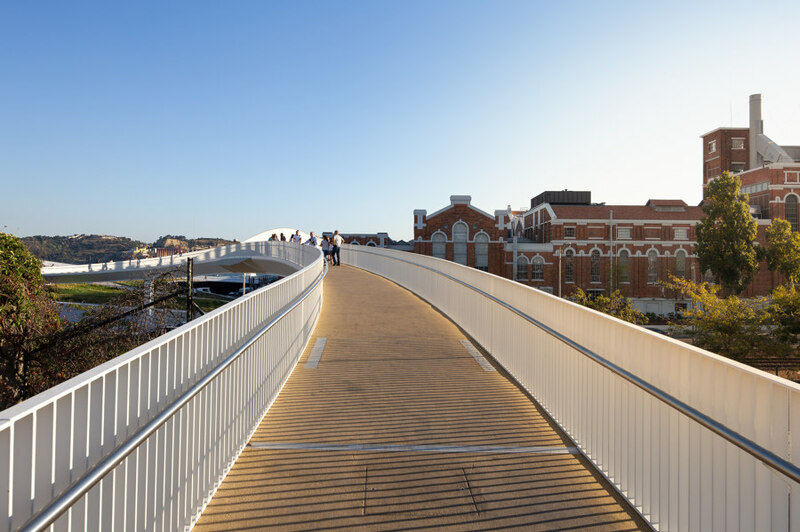 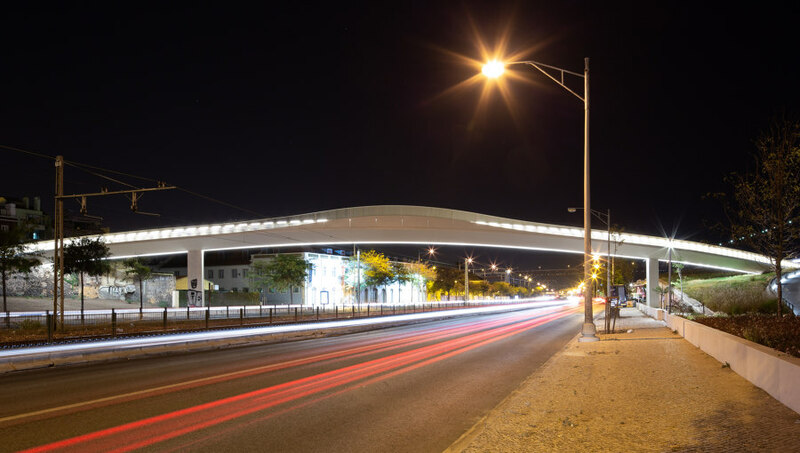 Direct, step-free access over the road and train line is now possible, with members of the public arriving on the roof of the MAAT with panoramic views across the river and back to the city.